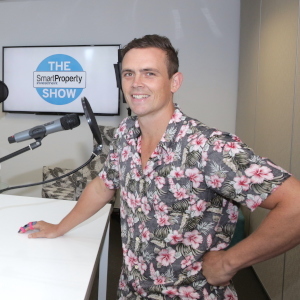 Australian test cricketer and property investor Stephen O’Keefe made a bad investment decision under the guidance of a buyer’s agent with a hidden agenda. Years later, he’s the one giving the advice – on how to avoid spruikers and set up your investment dream team. “The majority of my properties, apart from about three, I’ve bought through buyers’ agents, which I think alleviates a lot of the stress. I’ll go to my buyer’s agent with a brief of what I think is good, he’ll bounce back some ideas, we’ll settle on something, and then I’ll leave all the homework up to him. My current buyer’s agent, Paul at Pure Property Investment, has probably been the best I’ve used because he handled it right from the start to the finish, and even helped to organise getting tenants in place. For me, [investing in property is] the most stressful thing I’ve done. But with a buyer’s agent, I found this box of property worth ‘X’ amount, and I’ve had to do bugger all, bar a few pieces of paper. I’ve got property agents as well. I’m happy to pay for that. For me, it gives me peace of mind, so that I can focus on cricket. Unfortunately, before I met my current buyer’s agent, I had a different buyer’s agent that I wasn’t very happy with. I felt pretty early on that I was getting advice from someone with a vested interest. I used an agent who was really highly reputable and well known, and that resulted in what has probably been my worst property purchase. I bought off-the-plan in Mudgee and was advised to do so. It looked pretty good, with the promises of equity and whatnot, newly built in a growing area. Unfortunately, although they said it would take approximately six to 12 months to build, it’s now been two and a half years and it’s still not complete. The builders have gone bankrupt [and] it’s a progress payment on that loan, so it’s costing a lot. But I just thank heavens that I’ve got a buffer in place. At the moment I think it’s two grand a month that’s coming out, because it’s nearly drawn down and nearly completed. It’s coming out with no income going in. One of the things you have to be careful with is if you go to a buyer’s agent and say that you’re looking at [all of] Australia as a market, or that you’ve got a specific area in mind, and they start plugging you into an area that they seem to be keen on instead – I’d be wary of that. I think then they’ve got a vested interest. You want to be able to see if they themselves have invested in those areas and what their property portfolio is like. For me it’s about the relationship with the person. Trust your instinct, but also have two or three meetings, don’t just sit there for one and say, ‘Right, I’m happy to pay that to that up-front fee’, or whatever it is. Go back and have another coffee, even if it is months later, and have a chat and say, ‘How do you think the market’s moving?’. You want to be able to get as much out of them [as possible], without ruining the integrity of what they’re trying to do. Ask, ‘Where are you looking?’, ‘Have you got examples of what you’ve looked at in the past?’, ‘Has it grown?’, ‘What sets you apart from other buyers’ agents?’, ‘Do you mind if I have a look at other clients that have used your work?’, ‘Is there anyone I could speak to?’. If I knew [all this] back when I first started investing, I’d be a millionaire. I’d be the one running the investor magazine. I’d be a genius; [I would have] bought out half of Sydney and I’d be fine. In hindsight, it’s a bit like cricket – you wish you could have that ball back that you got out on, [there are] things that you wish you could do differently. But I really love the journey, so it wouldn’t be too different. I’m happy that some are not performing [while] some are performing, and in learning from my experience, I would probably say just do that little bit more homework. It tends to be what everyone says, but read the disclaimers, spend that extra 10 minutes, and what I’m doing now about paying experts – you almost can’t pay them enough.